SCAI THE BATHHOUSE | News | Bosco Sodi : Participatory Project "Cubo"
Bosco Sodi : Participatory Project "Cubo"
SCAI THE BATHHOUSE presents the solo exhibition of Bosco Sodi titled “Terra è stata stabilita", from Fri. 9 March until Sat. 21 April, 2018. In this exhibition, the "Cubo", built with unglazed clay timbers, once exhibited at Washington Square Park, New York in 2017, will be shown as a “living sculpture”. 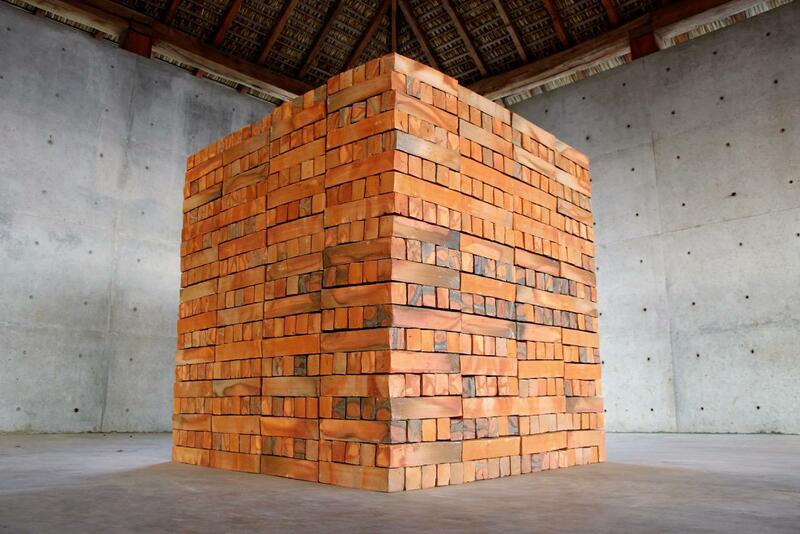 A cube of clay timbers will gradually change in appearance. The timbers are sold piece by piece so that participants can take it home. The work is in perpetuel progress by viewers participation. Please feel free to visit the exhibition and join the project being completed by your hands! ※one piece : 1,000 JP YEN ( Including tax). No delivery service at the gallery.